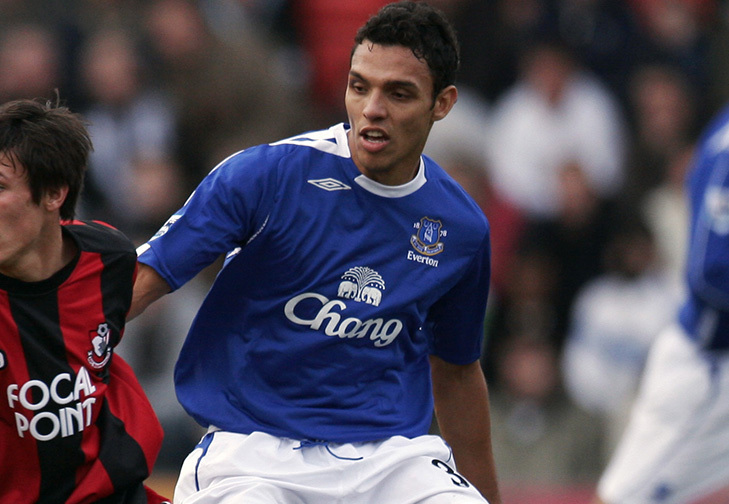 Unusually for a Brazilian, the defensive midfielder Anderson de Silva started out his career overseas in Uruguay with Nacional, but came to Everton’s attention while playing for Racing Santander in Spain. The saga of Anderson’s transfer to Everton in the summer of 2005 attracted far more column inches than his brief playing career at Goodison. Despite entering into an agreement with Racing, Everton found that the move was complicated by the fact that Nacional still held Anderson’s “commercial and federative rights.” The move was further complicated when it was found that Anderson did not possess an EU passport and, with no international track record, there was no chance of him receiving a work permit to play in England. Everton therefore devised a strategy involving loaning their ineligible signing back out to Spain – this time at Malaga – so that Anderson might play enough games to qualify for a Spanish passport to allow him to ply his trade in the EU. But perhaps at this time it should have become clear that Anderson was not quite the diamond for which Everton had fought the bureaucrats. Anderson made fifteen appearances for Malaga in that 2005-6 season, but was sent off in two of them. Malaga were bottom of La Liga. The loan term was extended for the following season, but there was little to encourage either the immigration office or the Goodison coaching staff that he was worth persisting with, as he struggled to get a game even when Malaga flirted with relegation from the Spanish second tier. He finally made his Everton bow as a substitute in a late-season win over Charlton. It was to be his only appearance. Instead, Anderson was sent on loan to Barnsley, where he eventually moved on a permanent basis on deadline day in the 2008 January transfer window. His time at Oakwell proved far more successful and Anderson clocked up 67 appearances for the Championship side, before moving back to Uruguay in 2011. He currently plies his trade in the heady heights of the Brazilian fourth division. This entry was posted in The Samba Series and tagged anderson de silva, brazil, everton, malaga, samba series by The Samba Series. Bookmark the permalink.